Beautifully remodeled 2-bedroom, 2.5-bath vacation villa with all of the comforts of home with the added luxuries of a resort! The Bay Club at Waikoloa Beach Resort is a beautiful property in the heart of Waikoloa on the Big Island of Hawaii. Nestled between two championship golf courses, the views and serenity at the The Bay Club can't be beat. The recently remodeled Bay Club at Waikoloa Beach Resort features a casually elegant tropical style with a modern variety of upscale amenities and furnishings. 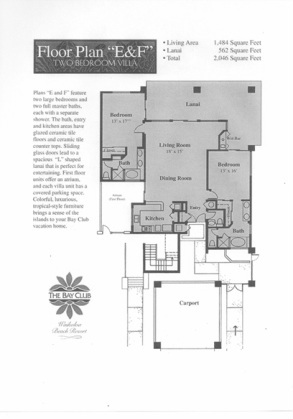 These spacious two-bedroom villas have all that the 2-bedroom suites have to offer...and MORE!! With almost 1500 square feet of indoor living space and over 560 square feet of outdoor "lanai" space, this 2-bedroom is a little piece of heaven!